Within the last many years there have actually been major advances in the variety, engineering and control of landfill sites; however it is still a fact that at many sites the generation of very polluting sanitary landfill leachates is still the significant possible environmental problem to be conquered. Although research and experience continue to demonstrate that at appropriate sites, unsaturated and saturated zones below land fills have a wonderful ability to attenuate sanitary landfill leachates entering them, due to a number of factors an increasing proportion of new landfill designs include using either natural or synthetic impermeable liners to provide containment of wastes and sanitary landfill leachate. It is an alluring prospect to recommend that with complete hydrogeological studies of new sites to recognize, quantify and control groundwater inputs, usage of good landfill practices, and of low-permeability caps to decrease invasion of rainfall, it should now be feasible to eliminate sanitary landfill leachate completely by usage of good practice in providing leachate attenuation zones below and beside all landfills to allow leachate to self-treat itself and be discharged to the local environment directly. Unfortunately, whilst this might be achieved in some areas, at the great majority of sites it would however, prove to be more pricey than managing or treating minimal volumes of sanitary landfill leachate arising from there being a fully sealed base to the landfill, and in practice at the large bulk of others it is not practical to allow any emissions of leachate into attenuation zones. This occurs in most cases since the national environmental requirements determine that to be classed as a sanitary landfill at all, they need to be offered with an impenetrable lining, and likewise impermeably capped in order for the developer to gain permission that they be built. Modifications in landfill practices have additionally added to a much higher polluting risk arising from sanitary landfill leachates at specific sites. For numerous years prior to the early 1970’s, sites for the disposal of domestic wastes were normally small and local, each serving a fairly minimal neighborhood. Controls applied by regulatory authorities were marginal. These sites were also characterised by reduced input rates, high ash content of wastes from open fires and at the site, combined with the low densities of uncovered wastes which allowed all the waste to continue to gain access to air, and offered a level of negative environmental effects that were typically only locally felt and restricted in severity. In addition, just about continual emissions of smoke, flies and vermin, iron-staining and developments of fungi and micro-organisms in neighborhood streams, were accepted as the acceptable cost savings of disposal of domestic wastes in what were no more than un-engineered and largely un-controlled “dumps” or “tips”. Two aspects have since joined together to make continuation of such practices unwanted; initially, there has an ever rising level of environmental understanding and raising of requirements, and 2nd, there were significant modifications which came about in the nature of sanitary (domestic) wastes. 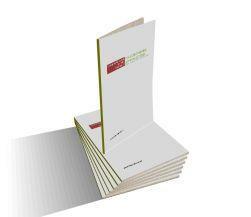 Domestic wastes, which were being produced in increasing quantities, and consisted of much higher proportions of organic wastes, required to be disposed of in sites crafted and controlled to satisfy much greater environmental protection standards. Economics of scale identified that this was done by concentrating disposal at far fewer, bigger sites, where max quantities of waste were emplaced by usage of compaction equipment to accomplish densities as high as 1 tonne per m3. Together with use of daily cover materials to deter vermin, this limited the access of air to the landfill and almost without waste managers noticing the decomposition of wastes stopped being aerobic and instead occurred in the absence of oxygen. The nature of sanitary landfill leachates being generated as a result changed. As an alternative of the watered down inorganic seepages normal before, organically high strength contaminated liquids were created, which could on most occasions be a hundred times (or more) as concentrated as domestic sewage. 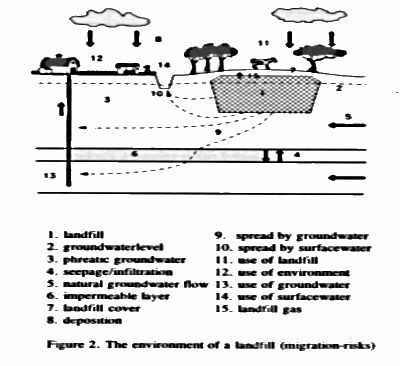 Engineering works, such as clay capping of completed tipping locations, reduced the rate at which sanitary landfill leachates developed, however also added to their increased strength. Lining of sites with impenetrable materials, such as clays or plastics, is now commonly needed but the outcome is an unavoidable, if slower, rate of production of sanitary landfill leachate, calling for regular disposal if the site is not to “fill up”. The application of increasing levels of innovation and expenditure to landfill sites has actually for that reason promoted interest in sanitary landfill leachate control, management and treatment, both by site operators and by the regulatory bodies responsible for protecting the environment from degradation by pollution. Many elements incorporate to make the therapy of sanitary landfill leachates from domestic wastes more difficult than the purification of sewage. Sanitary landfill leachate tends to have COD and BOD values which are up to 200 times as high as those discovered in sewage, and both strength and flow rate might vary considerably over the course of each year. Greatest quantities of flow normally happen during winter season months, when temperatures are at their lowest. Inevitably, the latter may prevent biological treatment processes taking place which rely upon the metabolism of biological organisms. 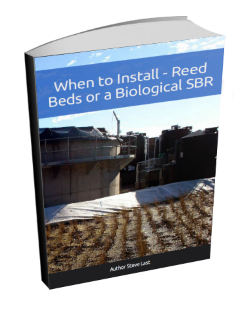 So, many low cost leachate treatment options cannot be chosen and winter heating may be required. The composition of sanitary landfill leachate is remarkably tough to forecast and often varies seasonally, specifically at shallower sites. In addition, landfill sites are often located in relatively remote regions, and staff in basic are not sufficiently proficient to run sophisticated treatment systems. 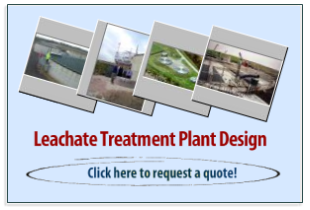 There are in fact so many pitfalls to choosing, designing, building and commissioning leachate treatment facilities that we recommend that this task never be attempted by non-experts in leachate treatment. However, that is where you are fortunate because if you have a sanitary landfill leachate problem of any sort you don’t need to look beyond this website and our Contact Form, for top advice from the IPPTS Associates leachate treatment experts. Greetings from California! 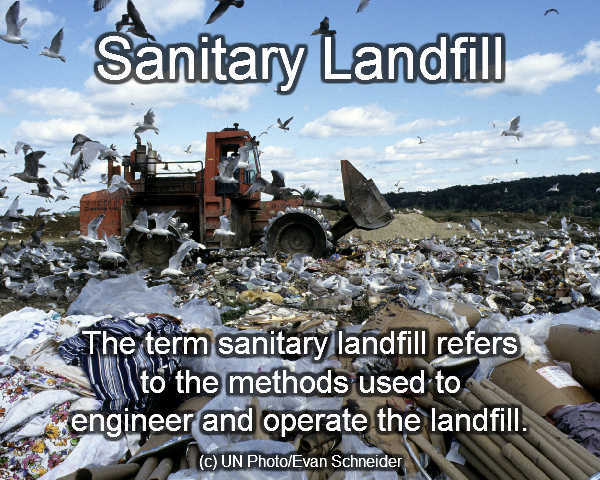 Do we have mostly sanitary landfills in the US? The name makes a landfill sound quite pleasant. It is not the way we think of our local landfill. How would we find out whether our landfill is sanitary – and so it would be the sort of leachate you describe?